How you lose after a game can be more important than how you win. It is easy after you win, especially in a tournament. You are happy and excited. But after you lose it can be difficult. Some players get very upset and frustrated and sometimes cry or get angry at the kid that beat them. It is important to know and think after losing that all players lose and that it is part of becoming a better player and improving. All good players, from your Dad/Mom or a friend that is really good at chess, have lost many, many times. 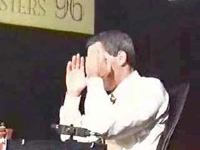 Even the greatest players of all time like Gary Kasparov, make mistakes and lose. Vladimir, Anatoly, Boris, Mikhail, these are some of the first names of some of the greatest chess champions. What do they have in common? They are obviously all “Russian” sounding as 8 of the last 10 world champions going back over the last 60 years, were from Russia. Why is this? Why are the “Russians” so good at chess? Have you ever been to a tournament where round 1 begins and then after a few minutes the game next to you and a few other games are over and the players are done with the round? How can they be done so fast? 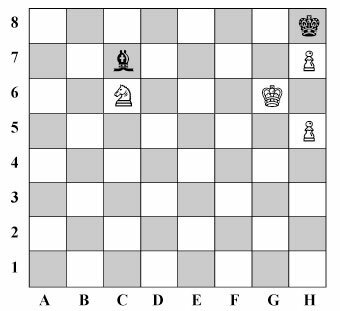 Usually these games are over because of “Scholar’s Mate” or a type of checkmate that is possible in only 4 moves. White brings out the queen early and attacks Black’s pawn in front of its bishop on the kingside (f7)a weak pawn only defended by Black’s king. White then brings out their bishop and also focuses it on f7. 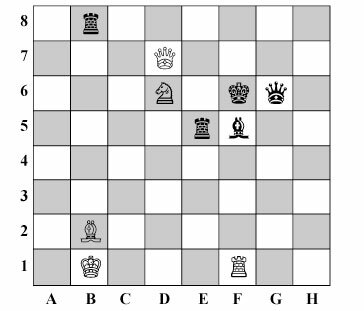 In only four moves White then takes the f7 pawn and since it is protected and the king has no way to escape so early in the game, it is checkmate as shown in the diagram below. Don’t worry if you are Black. 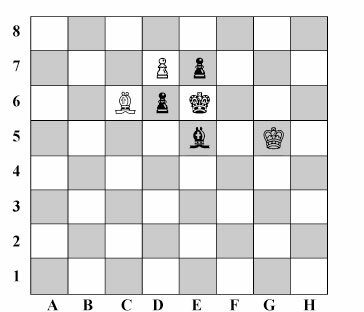 Scholar’s Mate can only happen if Black makes mistakes and/or doesn’t 8 protect itself. It’s actually easy to stop this “instant checkmate”. 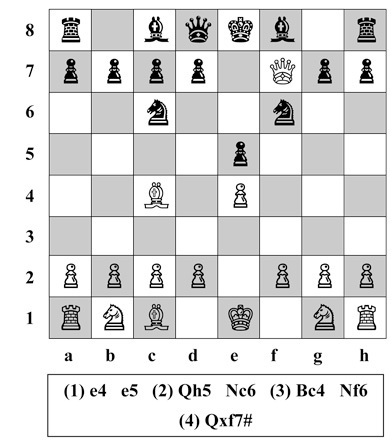 After playing Nc6, Black can attack 7 the queen on h5 BY MOVING ITS PAWN IN FRONT OF ITS KNIGHT (g7) ahead one square. The attacked queen must retreat back to f3 where it again attacks f7 and threatens checkmate. But seriously, DON’T WORRY. 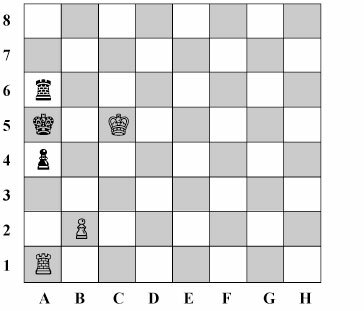 You can then as Black, develop your knight on g8 4 and move it out to f6. You have then completely blocked this tricky mate and the game continues. Since White has been trying to deliver checkmate, White’s position is not so great and Black can try to use their small advantage by playing Nd4 at some point. 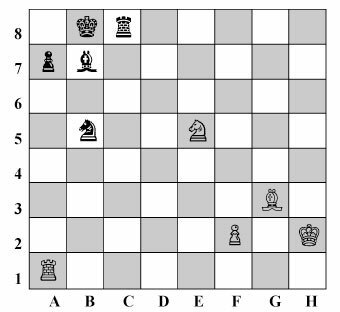 How do you know when someone is trying to trick you with “Scholar’s Mate?” As soon as you see a bcdef g h White’s queen out so early your alarm bells should go off and your chess antennas should go up. Bringing out your queen so early is usually not such a good idea. 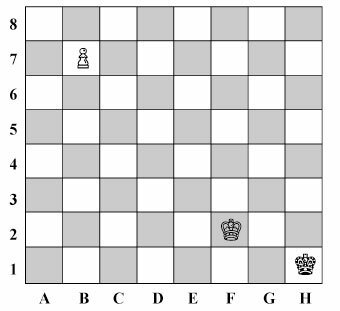 starting position until you figure out a plan and after you have developed your important pawns, knights, and bishops. trick but you can avoid it easily. Make your game a good one that lasts longer. BUT WATCH OUT FOR SCHOLAR’S MATE. Click, Clack, Thack, Splat. The tournament has started and it is very quiet except for those strange sounds. Oh-these are chess clocks being hit and used by some players. (1) Where does it go? Since White moves first Black chooses on which side he/she wants the clock. For Tri-State Chess and most NYC scholastic tournaments each round is “G/30” and clocks must be set for 30 minutes for each player. Most digital clocks are set by hitting the adjust button for each side and then using arrow control buttons to move the minute digits. A final set button usually locks the time in place. One way to start the game with clocks is to have Black hit the clock first without moving. White then thinks as his time starts counting down. When he is ready he makes the first move of the game and then hits the clock. Black’s time now starts running down and he makes his move and then hits the clock. This continues. Both players need to keep their hands away from the clock while they play, and the clock buttons should be touched and pressed gently. With a clock there is one more way to win. If you run out of time you lose as long as the person you play has mating material or enough pieces to deliver a checkmate. When digital clocks run out of time they usually beep, or at tournaments you turn this off, and when one person runs out of time the digits usually show 0:00. Because running out of time loses the game, at a tournament, you should not help your opponent with their half of the clock. If they do not hit their button after moving it is their fault. You will use up their time until you move! Chess is part of the history and traditions of countries from the former Soviet Union. Unlike in the USA, in Russia chess players can become very famous. In the USA most kids have heard of and can talk about football baseball or other pro sports, teams, and players. In Russia chess is so popular that kids talk about famous chess players along with their conversations about pro sports. For most Russian kids chess is viewed more as an after-school-like enjoyable activity and has been taught for many years in a YMHA/YMCA setting. The instructors at these locations are often famous chess players themselves. One of our instructors remembers being taught at a “Y” when he was 5-6 by one of Anatoly Karpov’s (world champion 1975-1985) assistants. In Russia, people that lived in smaller towns remember seeing family and friends playing outside on the steps of buildings. Today on the Upper Westside or in Brooklyn in an area like Park Slope, both with many beautiful buildings, you don’t really see people playing outside on the steps. the person you play may be on your level or better than you but lost because of mistakes. 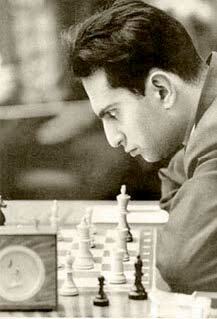 3) BE MODEST: All of us have a long way to go before becoming Kasparov or other great players. Even if your game was your best ever, don’t get too excited – there is more to learn! Just like here, in Russia, many kids learn to play chess from their family, like from, their father or mother, or a grandparent. However, according one Russian teacher we spoke to, here only about 5-10% of kids learn chess this way. In Russia, the % of kids who learn and have a family member that plays chess is as high as 50-60% of all kids! This is about numbers but it is important as about 1 out of every 2 kids plays chess in Russia, but here in the USA only about 1 in 15 play. Chess in Russia is as popular with kids as soccer is here. So if you hear Russian spoken at a tournament, or have a club with a teacher from Russia, think about why they are so good at chess. When they were kids they probably played chess all the time, inside and outside! Also, some players try to give themselves an extra buffer of time by moving very quickly at the start of the game, if they know their opponent is slower. By moving so quickly they only use a few seconds, widening the number of minutes ahead they are and adding to their buffer. If you are planning to use a clock for the first time in a tournament, practice first with a chess teacher or relatives or friends outside the tournament. Using a clock can make a game much more exciting, as how long it takes you to play becomes an important part of the game. If you are using a clock more often you will soon be very comfortable as it becomes second nature. Like riding a bike, you will shortly be using a clock, winning games as if you always played chess this way. As you become a better player you will see that anyone serious about chess uses a clock. From very young students to the world champion-all of them, use clocks. You can use one TOO!! To promote tournament chess in the New York City area, Tri-State Chess will introduce new “Grand Prix” prizes where top 5 finishers in ALL sections of Tri-State Chess tournament receive special “Grand Prix” points. At the end of the season players can turn their Grand Prix points into prizes as if they were cash at Tri-State’s concession stands at tournaments or at the Chess Exchange store at 288 3rd Avenue (Between Carroll and President Street) in Park Slope Brooklyn (718) 645-5896. So if you are finishing in the top 5 of your section keep track of those Grand Prix points. 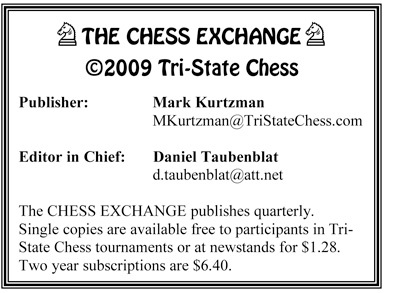 They add up quickly and might become serious cash to get you some great chess stuff at the end of the season!! 1458 York Ave. NYC Between E 78 St & E77 St.
5 West 93rd Street NYC Between CPW and Columbus Aves. 45 E 81ST St. NYC Between Park & Madison Aves. 52 E. 62nd Street Between Park and Madison Aves. 210 East 33rd St. NYC Between 2nd and 3rd Aves. Do you have strong opinions about scholastic chess tournaments? Have an opinion on scholastic chess competition or the Nationals? How can you find out what other people are thinking about these ideas?